Last October, the Consumer Financial Protection Bureau (CFPB) implemented new paperwork requirements. These changes are known as TRID (TILA-RESPA Integrated Disclosure). However, now that these changes have been in place for a few months, lenders find that the new closing paperwork creates delays in home loans. No matter how much we love our homes, there is always something we would like to do to improve it. Even a luxury Westfield home can be augmented in one way or another. Some projects may be done just to suit your taste. Others might be a contribution to future profits when you eventually sell your property. You’re a smart home owner. You want to put your money where it will best be utilized. These Westfield home improvement projects are worth your investment. Crown Molding/Chair Rails – They’re simple. They’re chic. Molding has been around for centuries. They can be ornate or you can keep it simple. They can be stained. They can be painted. They are very versatile. The addition of crown molding or a chair rail will instantly transform almost any room into a more luxurious space. Home staging brings Westfield Sellers top dollar. It’s been proven that an empty house takes longer to sell than a well staged one. Why is that? Buyers have an easier time imagining your space as their space when you set the stage for them. As a Westfield luxury home Seller, you need to set the scene for a potential Buyer. Classic looks make a better impression than a cluttered space. On the other hand, a completely empty home leaves a Buyer feeling empty as well. For a quick, successful sale, you need to make sure you put your home’s best face forward. De-Clutter – You don’t have to pack everything you own. Take down family photos, books and tchotchkes floating around your Westfield home. You can also make rooms feel less cluttered by taking out one or two pieces of furniture. Clear kitchen and bathroom counters of any excess, such as mixers, toasters, coffee makers, make-up, hair accessories, etc. Leave out only one or two decorative items (a bowl of fruit in the kitchen, a nice basket of artisan soaps in the bathroom). Paint – Home staging brings Westfield Sellers top dollar. If your paint is chipped, peeling or simply dull, a new coat of a neutral color can transform a drab room into a vibrant area. Paint darker walls a lighter color to brighten the look of the room. Lighting – You want to bring as much light into a room as possible. Use sheer panels on the windows. Add extra fixtures (desk lamps, floor lamps, sconces, etc) to darker rooms. If you have valuable art pieces on the wall, add a spotlight to highlight them. 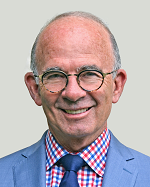 Accessories – “De-cluttering” does not equal “vacant”. While walls should stay neutral, you can add pops of color throughout with throw pillows or a brightly colored vase with fresh flowers. If your sofas or chairs are looking a little worse for wear, consider purchasing a light, neutral colored slip cover to place over it. Keep it Clean – Scrub all walls, windows, cabinets, fixtures, counters, floors and baseboards until they gleam. Pull out the refrigerator and clean the stove. Get rid of any cobwebs throughout your entire house. Buyers will open every cabinet, investigate every closet and check each corner of a home to assess its potential. Do you want to sell your Westfield home? Home staging brings Westfield Sellers top dollar. It also gets your home sold faster. I believe so strongly that staging makes for better outcomes, that I finance a thorough staging consultation for every client. Contact me to find out how I can help you. The renovated ranch-style home at 12 Marlin Ct, Westfield, NJ offers modern amenities in a single-story structure. Its convenient location to R22, EWR, Pharma and both Lenape and Echo Lake Parks make it perfect for commuters and outdoor enthusiasts alike. The property at 12 Marlin Ct in Westfield, NJ is located on a quiet cul-de-sac. The kitchen was updated three years ago with granite countertops, maple cabinets and stainless steel appliances. The master bath was also renovated in 2013 and now includes a granite countertop with updated fixtures. A wood-burning fireplace in the family room keeps you cozy in the cold winter months. More updates include marble floors and new fixtures in the powder room, a renovated main bath and refinished oak floors. A new electrical panel helps the 1965 original cope with the demands of a 21st century techno-centric society. New FHA and AC units were installed in 2005. The finished basement offers extra living space for a growing family or for couples who like to entertain. Vinyl siding helps protect 12 Marlin Ct from the elements. New retaining walls have been added at the driveway. The enclosed sun porch can be used all year round if you’d like. The large backyard offers plenty of room for the kids, the dogs or backyard summer barbecues with friends and family. There are several bicycle and running paths located in nearby Lenape and Echo Lake Parks. Echo Lake also offers a dog park where Fido can interact with other large and small dogs. Another convenience for families living at 12 Marlin Ct in Westfield, NJ is that bus service is available for children in grades 6-12. This property is move-in ready. If you are interested in taking a tour of this or any other Westfield NJ home for sale, please contact me at (908) 698-2630 or via email to set up an appointment. New construction is a hot commodity in Westfield real estate. But there is nothing like the classics. The property at 213 Scotch Plains Ave, Westfield, NJ was originally built around 1925 but has been recently updated to include modern amenities. The colonial at 213 Scotch Plains Ave in Westfield, NJ is situated on a deep level lot. This home offers plenty of light inside its walls. There was an extensive renovation in 2014 that included new plumbing and updates in all three bathrooms, a new garage roof, new garage floor, new driveway and a complete overhaul of the kitchen. A new electrical panel was also installed to help keep up with the demand of our 21st century conveniences. The new kitchen includes a carbon monoxide detector, dishwasher, gas stove and refrigerator. You will find wood flooring throughout the home. The finished basement offers extra room to entertain, a place for guests to stay or endless family time together. The attic was updated as part of the recent renovations as well. Two enclosed porches provide year-round usage, with updated storm windows and doors. Forget going to the market for fresh fruit. Pick it when it’s in season straight from your plum, peach and pear trees right in your generously-sized backyard. Other updates to 213 Scotch Plains Ave include a new water heater, new front drainage system and new fans in three of the bedrooms, including the master. This property is in a prime location, close to schools and your commute. This home is priced to sell. If you are interested, you need to contact me today at (908) 698-2630 or via email. It won’t last long at this price. I’ll be happy to give you a private tour myself. The luxury home at 746 Coolidge St, Westfield, NJ elegantly combines the old with the new. This home was recently renovated but has retained much of the charm of its 1940 original construction. Its location in a quiet neighborhood allows you to relax after a long day at work. 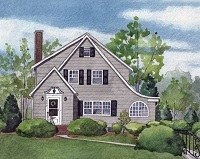 Type: Two-Story Colonial This Henry West Colonial offers charming comfort. Included in the recent renovations is a super family room addition, a remodeled main bathroom and a new roof. Watch TV while warming yourself by the brick, wood-burning fireplace of the wood paneled family room. The kitchen has stainless steel appliances, a self-cleaning oven and a dishwasher. The spacious master bedroom is a welcome retreat. A home office is conveniently located on the second floor. The enclosed patio helps protect you and your belongings from the elements during the winter time. 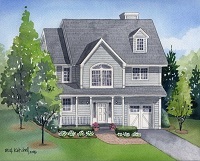 The Westfield luxury home located at 746 Coolidge St is conveniently located near Washington Elementary. Your morning commute is closer than you think, with transit available close by. All the shopping and entertainment that the Westfield community has to offer is also nearby. Westfield is known for its high “walkability” factor. All utilities are either electric or natural gas. Keep your home cool in the summer and warm in the winter with the efficient HVAC system. A paver walkway only adds to this property’s curb appeal. If you are interested in taking a tour of this property or any others in the Westfield area, contact me at (908) 698-2630 or via email. This beautiful home has been on the market for less than two weeks. I don’t expect it to last much longer. Contact me today. 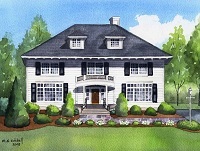 Westfield luxury homes have a stately charm. The property at 652 Nottingham Pl, Westfield, NJ is no exception. This spacious Colonial offers chic, modern touches while maintaining its elegance. Its convenient location within blocks of K-12 schools and less than a mile to the train and town makes it even more attractive for Westfield Buyers. The home at 652 Nottingham Pl in Westfield, NJ is situated on just under a quarter acre of land. Locally-based EWG Construction has recreated a Stonehenge Colonial with a chic, modern makeover. The open kitchen provides ample room to prepare your family meals as well as a wealth of area to entertain. You can have breakfast in the eat-in kitchen and dinner in the formal dining room. The capacious family room allows for endless cozy nights watching TV in front of the fireplace. Retreat to your roomy master bedroom when the day is done. The large walk-in closet provides plenty of space for your wardrobe. Relax in the full master bath after a long day of work. Striking wooden floors and lush carpeting are visible throughout the home. The finished basement includes a powder room. The outside of 652 Nottingham Pl in Westfield, NJ includes a deck, perfect for those summer barbecues with friends and family. There is plenty of room for your children and pets to play in the backyard. Entrance to the attached two-car garage can be found at the rear of this home as well. This property is located only 0.8 mile to the train. Your morning commute is just a short walk from home. In fact, Westfield’s “walk-ability” to restaurants, shopping and entertainment is one of the things that its residents like the most about living here. If you’re interested in learning more about 652 Nottingham Pl, contact me. I’ll be happy to take you on a personal tour of the property myself. When it comes to settling down, there are several factors to consider. What are the schools like? How easy is it to get to work? For some, how attractive the population is may be a consideration. According to dating app Clover, New Jersey ranks high for female attractiveness. Unfortunately, it also ranks high for least attractive males. According to Clover’s statistical analysis of its users, New Jersey ranks high for female attractiveness. In fact, it came in third overall, just behind Connecticut and New York. No New Jersey city was singled out. It would appear that the East Coast is the place to live if you want to surround yourself with gorgeous ladies. Six of the top eight states on the list were located there. The women of Manhattan were at the top of the list for cities, with these ladies coming in twice as attractive as the national average. Our local men didn’t seem to fare very well on Clover’s list. New Jersey males ranked fourth on the list of Least Attractive Men. The only city in the Garden State to be singled out was Jersey City, who ranked #3 on the list of Cities with the Least Attractive Men. The most attractive men appear to be from the Midwest, with Montana coming in first. Jacksonville, FL ranked #1 for US cities with the most attractive men. They were considered 70% more attractive than the US average. If you are a red-blooded American boy living here in the Garden State, you aren’t surprised that New Jersey ranks high for female attractiveness. And, ladies, just because New Jersey men didn’t fare so well doesn’t mean there aren’t “hidden gems” among us. Do you happen to agree with Clover’s findings? Let me know in the comments below. Why Should I Work With a Certified Residential Specialist? Why should you work with a Certified Residential Specialist (CRS)? You are going to want to have their special training working for you throughout the entire home buying process. After all, this is most likely the largest financial decision you will make in your lifetime. A REALTOR® is one of the most important assets you can have on your side when purchasing a home. But not all REALTORS® are the same. A Certified Residential Specialist will provide much more insight, experience and information than a regular real estate agent. I recently attended a Council of Residential Specialists convention in Orlando, FL. There, I met market leading, ultra-conscientious agents from around the country. It was a terrific skills-building couple of days. I especially appreciated the information I received in the seminars on property marketing and customer service. Being a Certified Residential Specialist takes experience and hours in the classroom. That’s probably why only 3% of REALTORS® actually earn the CRS designation. We have to have a certain amount of transactions and dollars in sales as well as classroom hours in order to simply apply to be a CRS. Then, there is continuing education afterwards. That way, I can be the best possible representative for you with the most up-to-date information. My CRS designation also allows me to tap into a vast network of other Certified Residential Specialists around the United States. That means that, wherever you or your family and friends need real estate services, I can save you a lot of legwork and help you avoid mishaps by using my CRS Referral Network to find you a great agent no matter where you are looking. All you have to do is ask. Are you planning on buying a home in the near future? Where are you moving to? If I can’t help you personally here in the Westfield NJ community, I can find a qualified CRS to help you in the area you plan on living. Just contact me to let me know how I can be of assistance. The luxury home buying process is a much different experience than that of lower-priced properties. Luxury home buyers tend to see features and amenities as their main focus rather than price. These luxury Westfield Home Buyer tips will help make the purchasing process a little easier. Searching for a Property – The internet is a great place to start. However, some of the high end properties may not be listed on the MLS or any other major search engine due to privacy concerns. The first of my luxury Westfield Home Buyer tips is to utilize your REALTOR’S® resources. They have access to just about any property on the market, including off-market “pocket listings”. Hire a REALTOR® that is experienced in the area you are looking to buy, let them know exactly what you want and they will do the work for you. Remember, just because you don’t see a “For Sale” sign in the yard does not mean the homeowner isn’t entertaining offers. Personal Tours – A picture may be worth a thousand words, but it doesn’t tell the whole story. The next one of my luxury Westfield Home Buyer tips is to visit each property in person before you make your final decision. Luxury homes tend to be larger and much more detailed than lower-priced properties. Expect to take at least a couple of hours to tour each home and its grounds. Financing – Unless you are an all cash Buyer, you are going to need to secure financing. Many Sellers in luxury markets are not willing to even allow potential Buyers on the property unless they have been financially vetted beforehand. This involves proof of income as well as assets. Since the loan process can take a while, you may want to start this early on in your search for a home. Making an Offer – Once you find the luxury Westfield home you want, it will be time to put in an offer. However, talk to your REALTOR® first. They can pull up recent sales of homes that are comparable to the one you are interested in. This will help you determine what you should expect to pay and what your offer should be for your next prospective home. Inspections and Closing Details – The last of my luxury Westfield Home Buyer tips is to always get a home inspection. These can reveal structural damage or other issues that may not be seen on a typical walk-through. Talk to your REALTOR® if you have questions about closing costs, contingencies or anything else. As an aside, the City of Westfield is working to clear the snow from last weekend’s storm as quickly as possible. If your street is still snowed in, visit the City of Westfield’s website here to let them know. That way they can get someone out to you.